Pizzicato takes us into a whole new musical world …….. and into a whole new technical world for the right hand. Suddenly, we stop singing (bowing) and start playing the guitar, harp or piano. 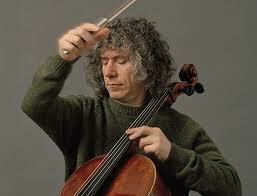 You can be a very good cellist, but at the same time a very bad “pizzicato-ist”. This is because pizzicato is rarely used in the solo parts of concertos, sonatas and virtuoso showpieces, and therefore it is rarely taught or studied. But pizzicato is used a lot by the cello in chamber and orchestral music – most especially in operas – and often has a very important musical function, as well as posing specific technical problems. the weight of the bow waving around in the air has a destabilising effect on the hand and arm. For these reasons, when possible, for a long or complex pizzicato passage, we may want to put the bow down and have the right hand and arm completely free. We can divide the study of pizzicato into different sections. Click on the following links to open each different area.